Tim Chopelas is a mainstay of Cataldo Ambulance Service in Somerville, Massachusetts, sharing his experience with new EMTs and guiding trainees as they learn new roles. He started work at Cataldo as an EMT Basic then decided to attend the Northeastern University Paramedic program. He has been working as a Paramedic for more than 20 years now. 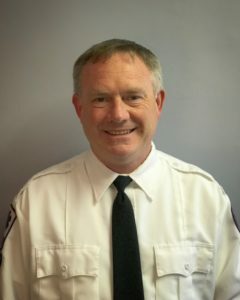 His people skills were front and center when he held supervisory positions at Lyons Ambulance Service (Cataldo acquired Lyons in September 2017), and he was instrumental in the early stages of developing the Performance Improvement Program at LAS. Tim was an ALS Field Training Instructor at LAS and takes an active interest in mentoring new medics, giving his experience and insight, while encouraging them to develop their own skills. Tim is a role model Paramedic. He’s a skilled clinician and a compassionate caregiver, and he is a committed, hardworking staff member, often working overtime shifts. He is married, has two children, and lives in Danvers.